A standard dining room chair or kitchen chair height averages about seventeen or eighteen inches tall from the bottom to the seat. Vanity table stools also are 17 to 18 inches as well. Vanity height chairs and stools from Alfa Barstools are great for many homes and businesses with counters, bars, or a kitchen peninsula that you want to place barstools at. These heights are usually used for bar and counter heights of 28 to 31 inches high. Alfa Barstools has 17 inch and 18 inch bar, counter, and table seating options. 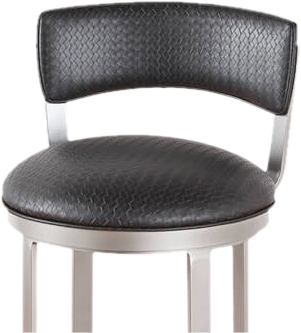 We sell barstools and other seating options in a variety of sizes as well as dinette tables and barstool replacement parts. Whether you want new barstools for a kitchen, dining room, office, or for your business, we have a great range of options in many styles, materials, and colors. We have backless options, high back options, cubes (which make for great narrow seating options), options with and without armrests and with and without footrests. Chairs can be done in wood, metal, steel, and fabric and upholstery options for the seat and / or back can range from leather, suede, fabric, or a variety of non-porous materials. We have seating options that contain a blend of materials, and we do custom options, too. Whether you are looking for modern, traditional, or something very unique, Alfa Barstools has great options. 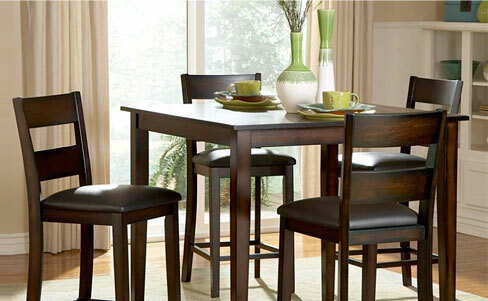 While newer homes tend to have higher height counters and islands, many people still want these smaller barstools. Our Alfa Barstools options range from 17-18” vanity / chair height to extra tall 36 inch high barstools with multiple choices in between as well as adjustable height barstools. Alfa Barstools sells many styles, colors, and materials in our 17 to 18 inch vanity chair range. Whether you want Victorian, Acrylic, Leather, Brushed Stainless Steel, or some other type of counter or bar seating option, check out our great range of options. 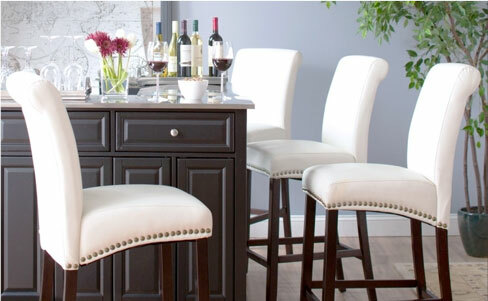 We also offer deep discounts on brand name and customized barstool options. With more than 25 years of being one of the best reviewed barstool retailers, you will be in good hands. Buy online or make an appointment with us at our Lauderhill, FL warehouse and choose the seating optiosn that are right for you. In addition to new barstools, talk to us about dinette options, reupholstering, and replacement parts for your barstools and chairs. Need something taller? Check out our 24, 26, 30, 34, or 36 inch tall seating options.